Making way for new inventory. Every shirt is $8.00 off through the end of May!!! Make sure to sign up for the newsletter if you haven’t already for great promotions and new designs in the VERY near future! and get a free shirt. Have 10 of your friends signup and get 3 free shirts. will be contacted to get shipping information. Easiest way to tell your friends would be to just forward this email……..
Anthony & I heard of Flavor Tripping three years ago, and decided to throw a party. The party was a “trip” & since then we have teamed with Mberry for future parties. Mberry has taken the evolution a step further by teaming with Homaro Cantu of Moto & ING located in Chicago. Watch the video below to get an idea of how the miracle berry can improve the foods and drinks we consume daily. Demonstration of flavor changing everyday foods from I am the walrus on Vimeo. Introducing A New Page in the World of Food from I am the walrus on Vimeo. 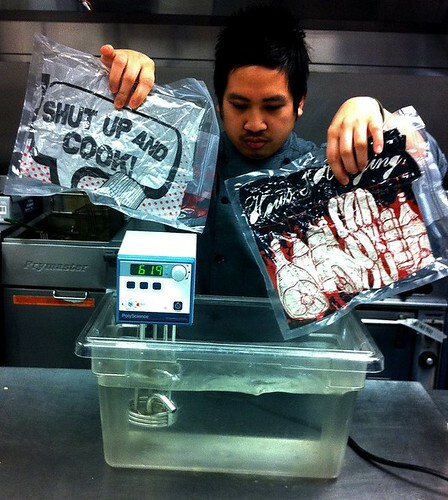 Our friend John Bautista shows us how to properly clean our Flavor Apparel. 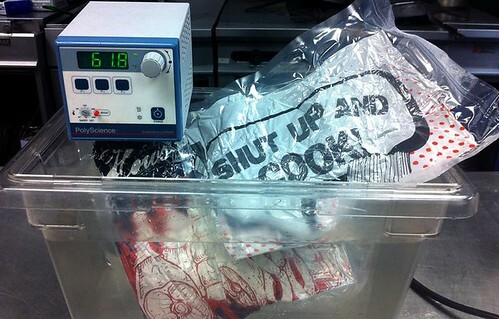 1) Vacuum pack shirt with aromatics. 2) Create a water bath and set Emersion Circulator to 61.8 Celsius. 3) Float shirt in water for 1 hour. 4) Remove shirt from water and allow to cool. 5) Serve shirt on chest and walk around kitchen like a Culinary Gangsta! Check out my thoughts about the “Aphrodisiac” event & the Cleveland Culinary Scene! I’m wearing the “I Love Pork” shirt…. 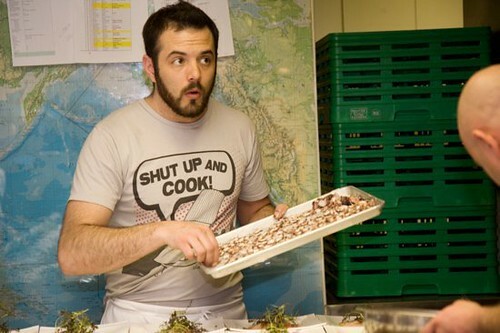 Emerging Chefs > Exclusive Interview > Chef Matt Mytro from Emerging Chefs on Vimeo. 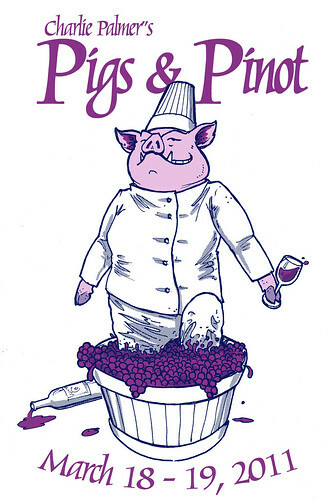 Stove Monkeys will be present at this years Pigs & Pinot event! We are very lucky to have been able to create this amazing shirt. Only 100 shirts are left so get yours while they are still available!! Stove Monkeys in partnership with Crisp Catering is presenting a food event for the Ladies! 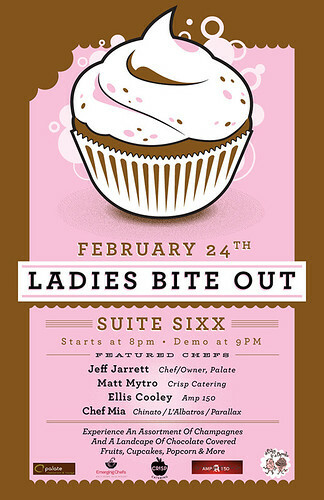 Come join this tasty FREE event at Suitte Six! Enjoy a tasting of champagnes, special chocolate martini w/ Paramount Whip vodka, a chocolate covered spread of assorted popcorn, chips, pretzels, strawberries, pineapples, and cupcakes from A Cookie and A Cupcake. Stove Monkeys & KJ Greens had the pleasure in working with Dante Boccuzzi of Dantes (Tremont, OH) at the Beard House in NYC. This was my first visit to NYC and I must say what an effen blast. Check out some of the picture below from dinner! Co-Owner of Stove Monkeys presents “Aphrodisiacs” co-produced along with Emerging Chefs & The Velvet Tango Room. 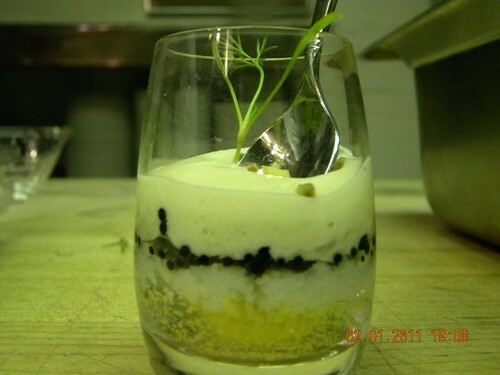 Emerging Chefs > Aphrodisiacs > Highlight Reel from Emerging Chefs on Vimeo. 1) Who’s is your favorite chef and why? 2) If you could design a shirt for Stove Monkeys what would it say or look like? 3) What’s your “Go-To cookbook why? 4) Where do you see food in five years? 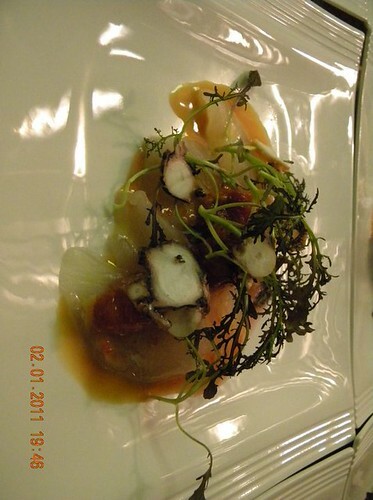 5) Do you believe in the quote “Fine Dining is Dead”? Music by DJ Shadow. Awesome event! Archived updates and news items for your reading enjoyment! Sign-up for our mailing list and you'll receive occasional updates and special offers via email! Want a free Stove Monkeys vinyl wristband? Give us your address and we'll send you one! As a chef you can't make a great meal with poor ingredients and the same holds true with anything that you do in life. We pride ourselves in the quality of our work and stand behind each product. 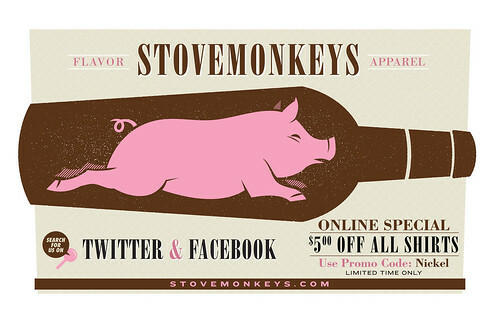 We know that the character of our merchandise speaks for itself and that you are proud to represent as a "Stove Monkey".